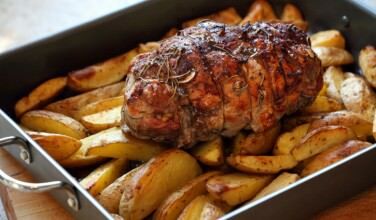 Red Easter eggs are just as much a part of the Greek Orthodox Easter table as some of the other traditional foods, like lamb. They’re even baked into the center of tsoureki, the traditional Easter bread. The reason for this is simple – the eggs are a reminder of Christ’s resurrection. But how did this tradition evolve? Before they were adopted as a Christian symbol at Easter, eggs were a pagan symbol of fertility. Eostre, the Germanic fertility goddess, would carry baskets of eggs as a way to encourage fertility. As a result of that, her followers would give her eggs as an offering. When Christianity was in its early stages, the egg was adopted as an Easter symbol, but was given a new meaning. Dyeing eggs red and using them as a symbol for Christ’s resurrection can be traced back to the early days of Christianity in Mesopotamia. They’re the first to have dyed the eggs red, which they did as a reminder for the blood Christ shed for us on the cross. In 1610, the Roman Catholic Church published a document called the Roman Ritual, which contained instructions for blessing food at Easter, including Easter eggs. 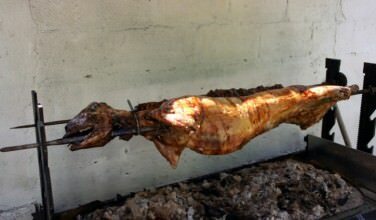 This tradition continues to this day, especially in countries such as Greece. Greeks adhere to the custom of dyeing the eggs red to symbolize Christ’s blood and the egg itself reminds us of His tomb. When the egg is cracked, it represents His resurrection. No Easter table is complete without them! 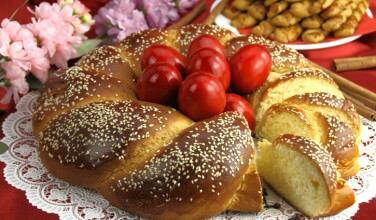 These are also baked in the center of tsoureki, which is the traditional Easter bread. There is also a special prayer that priests often do that blesses the eggs. In some places, people bring parts of the Easter feast to church so he can say the special prayers. However, this practice isn’t as common as it once was. There is a legend that gives Mary Magdalene credit for starting the tradition of the red dyed eggs. According to the stories, Mary Magdalene went to Rome to preach the Gospel. While handing him an egg, she greeted the Emperor Tiberius by saying, “Christ is Risen.” He was skeptical, and when he said that to Mary, the egg that was in her hand turned blood red. 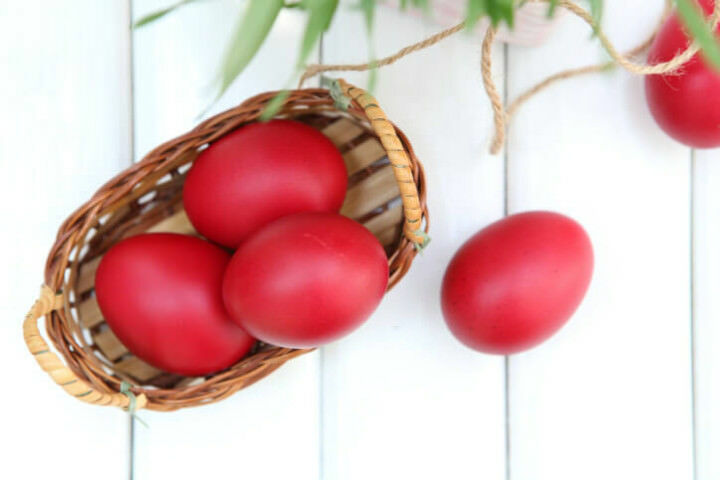 No matter how the tradition started, one thing is certain – red Easter eggs are an important Greek Orthodox Easter tradition!